English that has Embarrassed So Many. Part 7. English keeps on embarrassing so many because they have failed to embrace and learn it with keen interest for one reason or the other. No matter how genuine your reason would be, you can't change the fact that 'English' is the official language of most (if not all) African countries in the world. Therefore, the earlier you start learning the English language (not just English but Standard English) the better for you. 1. NEPA has taken light. I am very sure you are smiling for seeing this probably because you are also guilty of it. This is a very common mistake among learners of English hence the need to address it. Light simply means, the brightness that comes naturally from the sun, moon or flame of fire. It may also mean brightness from electricity bulb but what the speaker is referring to here is 'electricity' or 'power supply'. Therefore, the correct sentence is, 'NEPA has cut power supply' or 'There is power outage/failure/interruption'. 2. I entered the bus because of my mum's instruction. Learners of English, especially Nigerians, have a way of 'nativizing' the English language to suit their language inadequacies, and this is clear evidence. It is a clear translation from our local languages. Using 'enter' in a place of 'board' or 'get on' is non-standard English. The correct expression is, 'I boarded the bus because of my Mum's instruction' or 'I got on the bus because of my Mum's instruction'. 3. If you don't take the drugs, you are doing yourself. 'You are doing yourself' is non-Standard English; it is a translation from our local languages. The right expression is, 'If you don't take the drugs, it is at your own risk'. 4. Driver, please stop me here I want to go down. This is also very common among learners of English. 'To go down' means 'to fall on the ground' or 'to be reduced.' Therefore, the right expression is, 'Driver, I want to get off the bus or I want to alight from the bus'. 5. Emeka's bus carried not less down sixty passengers. 'Less' is not used with count nouns (like 'passengers' in the sentence) but with uncountable nouns. 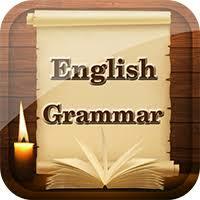 In other words, it is used to refer to the amount of things that are uncountable, E.g. less water, less sand etc. Therefore, the right expression is, 'Emeka's bus carried not fewer than sixty passengers'.